I am now editing a new video on the secrets to kavana & the emes, truth of prayer 45minutes in the idra! For me it was 1:30minutes in the idra as my mic was faulty and I had to redue everything from scratch. Well I shouldn’t have; then again, I had too. I bought a used car so I could do more videos by kevarim and of torah taught in the hillsides of Tzfat. I owe quite a bit to the friendly and kind people at visa. I many not sleep well until its paid back but now I have for you, already in the first day, 2 new videos which should be up soon. I also took the liberty of taking the new videos to an all new level of teaching Torah to the masses today. Please forward my website to everyone you know and lets get this material out there to the people. If anyone wants to sponcer advertising, fuel, or anything to keep these projects and me (the one who is fighting off the evil to complete them), let me know. Also, receiving possitive feedback from you gives me such a feeling of warmth that it is simular to me as licking a cone of soft icecream on a hot smeltering day. So here I am looking for a good deal on a used 10 year old car and everyone keeps repeating this line to me. “Nothing in the world is free. Don’t expect anyone to give you a deal. I kept hearing this line all last week and it got me thinking. You know I grew up as the son of a man who believed totally in the giving of the self. An Amateur Radio operator for 40 years, my father’s life was totally about doing free favors to others. My father never charged for doing a favor and whenever he could give someone a break, he would. It just reminds me of the values I grew up with and how I miss being surrounded by them. I find myself offering money to friends for things daddy would always do for free. It seems that the value of good friendships today has deteriated. Maybe this is the true reason many of live off of prosac today and suffer from dire loneliness. After many days following the war, life is beginning to turn around quickly to the realm of normalcy. Today Cheder opened for the boys despite bain hazmanim, summer vacation. Peoples frowns are beginning to return to the usual smiles we are used to seeing. Stores are all open and people are greeting one another with a new appreciation. Everyone is asking another how long they stayed during the war and where in the south they visited. I finally got gas in my house so we could use the oven. I think if someone told anyone of the people here that the war would begin again, I think people would cry in pain, so happy are they too return to their normal life. At the same time, as I pass by the little children, I hear them speak about the wonderful experiences they had while away, enjoying the opening arms are their fellow people. As far as money is concerned, little to non has really been handed out by government agencies or charities. Most people recieved at the most, $200 of actual cash to help them througth the finacial burden of the war. I wish I had collected more to give as I believe every family should have at least $1,000 of cash help from the lack of work during the last month. Not to mention all the traveling fees. It seems that the mitzvah of raising a large Jewish family is more difficult for the mothers and fathers of today. This being said, it is a must that parents teach their children to lend a hand to neighbors by babysiting and helping the tired mothers of their community. Yeshivos and Seminaries should be involved in projects of chesed for their community. We are not doing enough! (The all New Blog Torah Section) My plan is to make this my 6th book. It is all in the beginning & end. How a person starts something is pertinant to how that thing will end. This goes with all maters of life, work and Avodas Hashem. Especially in prayer, one should concentraite very hard in the brachos in the morning & the readin of the Yom in the end, the Ahray in the afternoon & Alenu in the end, in the evening the who rachum and alenu followed by kaddish. Whenever you are given an assignment or task that needs completion, you should attack it with strength. Many times people start out strong but grow week but if you concentraite in the beginning about the end, then the matter becomes easier to complete. Rebbe Nachman says, never to let material matters that need to get done drag on as they only become more difficult to finish. We must be warriers on how we deal with all situations in our life. A warrier keeps himself alert and ready. He knows that if they enemy attacks first then it has the upper hand. Even he understand the importance of the beginning. When we arrise in the morning, it is so important to begin with possitive thoughts. Also, the evening at sundown is one of the most important times to establishing ones entire evening. Usually this is when the children retire to sleep or many things are happening and the satan knows this and will make it difficult for you to accomplish things. Don’t allow him to bring you to sadness or anxiety but rather take what you can and be strong. As a sofer, I extended my learning to also include the art of kamaya, writing segulos. For a donation to ilovetorah of $50 or more, I will make a segulah for healing, shalom bayis and other needs. B’H I have already helped many with these, they are not instant guarentees but they are known Jewish remedies through tradition. I see that I will need to raise more money to continue all the projects as my books and 90% of the site is all frozen due to lack of funding. You might read in the papers that life is back to normal here in Tzfat but it’s not. Most stores are still closed and people are still nervice to return. Slowly more people are returning and stores are starting to clean up and open but it appears it will take time. It is tradition here that on Tuesdays, stores are closed in the afternoon. I was so suprised to see things open in the morning and close in the afternoons. I mean, really, you have been closed for a month, don’t you think its time to just stay open, even on Tuesday. Then again, who knows if people have had time to clean up their homes and get their own life back in shape. I will try to be patient! As you might already know, I have a page where you can fill out details about yourself and what you are looking for in a Reb. I’ve tried to be there for some of you but I have been a bit slow with it lately. Know that when I made this up, I did it out of all seriousness and I will be there for you as soon as Hashem frees up my time and gives me the strength too. Don’t be suprised if one day you get a phone call from me. Can you folks tell me if the java bar and links are clear on the homepage. Do you think the homepage needs to be redone again? I need you guys to remind me to make an entire section to teach about Benai Noach. I made once a site for anti-missionary and I got to tell you that it almost broke me to pieces to work in these lines, seeing first hand how misleading these people are. I did save a few people over the years from such cluches of evil but I decided my real angle should be to simply mekariv. If I have to go into these lines, I do but I just don’t go after the work. At the same time, I just realized how important it is for me to teach more about Benai Noach as I get 100 emails a month from non-Jews who are curious and fall in love with the site and I have nowhere to send them. If you see this post in a week or two, give me a email reminder. k? Look, not to brag or anything but I am one of a select few who rode out the storm. Let me ask you though, now what for Reb Moshe? I think most of my life was a war in some way or another. For many years it was a war with myself, other times a war against loshon hara, sometimes it was a war against the kkk in my area, and sometimes an unfortunate war between friends. This war has made me realize how weak the support is around me and how I have to build this better. I’ll tell you, I have so many great people I have met online, some consider me their Rabbi, others their personal friend, but here in Tzfat, I am rather alone with my family. The truth is though, I had wanted it this way. A quiet life to run away from my hard outreach work online but then again, sometimes its just too quiet here. If I could, I would take all of you, my deepest online friends, even those who view the videos but are too shy to say hello, and make an entire Jewish town with you. It would mamish be the sweetest place in the world. Twenty to fourty thousand of the sweetest yiddalas in the world. Ummm, I can taste the sweetness. As many heard on my interview with talk radio, I had explained how when the sirons go off, the children say, the old man is making noise. This morning, I asked the children if they would like to play on the marpest, porch. They responded, “what about the man”. I told them, “The man isn’t going to be making noise anymore”, almost tearing. Excitedly, they ran to get their socks on to play once again! Honestly, today I figure to get as much done as possible since we don’t know how long this ceasefire will last. Tonight I was down in Meor Chaim, southern Tzfat. It was a bit creapy as most people from these parts haven’t returned yet. You can’t really blame then when building 9, 10, and 12 were hit by rockets. While down there I went into the otherwise busy shul of Meor chaim. It was empty except for me and a wild Israeli Katul, cat. I told him, my little friend, you can’t be here. You are not tahar to be in a Bais Medresh I said to him soft but firmly. I told him he had to leave in two languages but mostly I spoke from the heart. I was amazed that the Israeli cat which usually runs from people simply allowed me to open the door for him and then he gently walked past me. So my firneds, you want to know what Tzfat is like during the war? Even the cats are lonely! 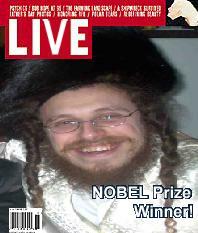 Anyone want to be Reb Moshe’s friend? Really, a ceasefire? I guess it’s now time for some post-war deep reflections come Monday. Sunday they have still been bombing us during the afternoon. It is official, there is now a ceasefire come tommarow morning. Why don’t I feel more safer now?? I already hear from friends that they are returning tomarrow to Tzfat. The thoughts of the people hear are, what will tonight be like? Will they finish up their arsonal?